"I don’t have time to cook.” “I have nothing in my house to prepare.” “I don’t know how to use my oven.” These are excuses frequently made by my clients for not preparing a meal at home. I get it. I don’t have a lot of time to cook at day’s end either. But I have armed myself with a few great cookbooks that I can keep in my car or purse for the times when I am at the supermarket and not sure what to make for dinner. Here, a few of the books I’d like to share with you. Everyday Food cookbooks use healthy ingredients and are simple to prepare. My favorite one is Everyday Food Light. 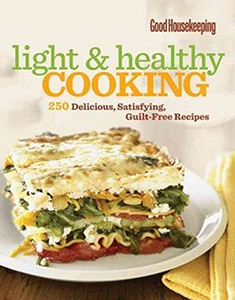 This cookbook has the nutrition analysis available and each serving is less than 500 calories. As an added bonus, the recipes are sectioned by season. Best Bet: Sautéed Shrimp with Arugula and Tomatoes. 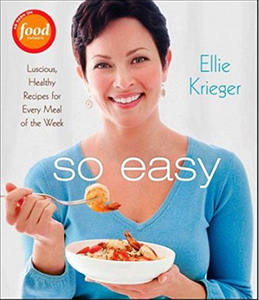 You may be familiar with Ellie Krieger from her appearances on the Food Network. Her background as a Registered Dietitian combined with her culinary skills makes for a perfect cookbook that provides nutrition analysis for each recipe. These tasty recipes are so easy to follow that anyone can put together a fast and healthy meal in a short amount of time. Best Bet: Steak Chimichurri with Grilled Garlic Bread and Grilled Tomatoes. 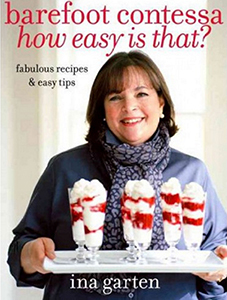 BAREFOOT CONTESSA: HOW EASY IS THAT? Who doesn’t love Ina Garten with her fresh simplicity of ingredients? In this cookbook edition, she shows us how to save time in the kitchen while preparing delicious meals. 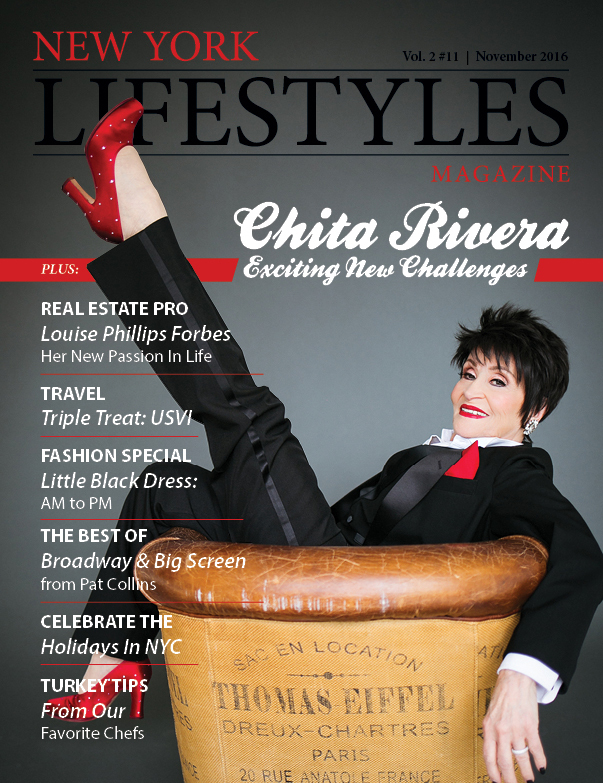 In addition, she shares some great meal preparation and cooking tips. Best Bet: Watermelon & Arugula Salad. This is one of my newest purchases from the editors of Real Simple Magazine. If you are familiar with publication’s recipes, then you already know how easy and tasty their recipes are. Each chapter is broken down by the 35 ingredients and has a picture to accompany each. This is a great cookbook to keep in your car so you can easily select a recipe at the last minute. Best Bet: Sausage with White Beans and Tarragon. 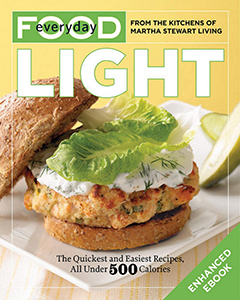 Good Housekeeping Magazine brings you this great cookbook with many recipes that can be made in 30 minutes or less. You will find familiar recipes that are lighter versions of the originals and nutrition information is available for each. Best Bet: Healthy Makeover French Toast. 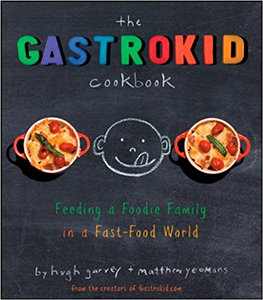 This is a great one for foodie parents who want to introduce healthy foods into their kids’ meals. These recipes help kids to explore foods that taste great and use simple ingredients that the entire family will enjoy. 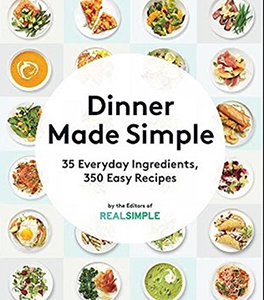 While this is not a cookbook, it is an amazing resource for anyone who is seeking recipes. You simply type in key words such as “healthy meals”, “high fiber breakfasts” or ingredients you have at home such as “spinach, chicken, garlic” and you will find a plethora of suggestions. 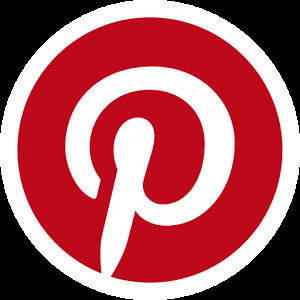 In addition, Pinterest is great for keeping all of your favorite recipes organized.